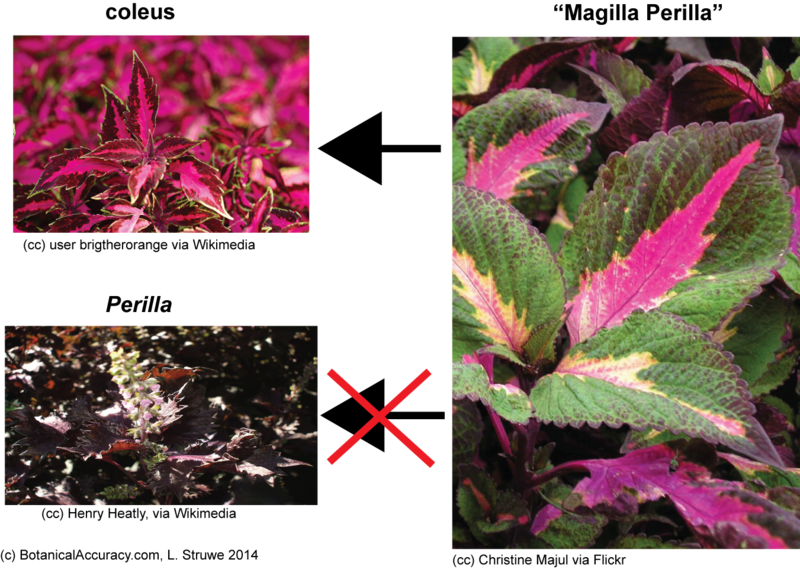 Botanical Accuracy: Update on the magics of "Magilla Perilla"
Update on the magics of "Magilla Perilla"
Art Tucker and I have been getting a few e-mails about the blogpost explaining that Magilla Perilla is just a cultivar of the regular Coleus. We thought we should clarify a few things for those of you that wonder and ponder the naming of plants. 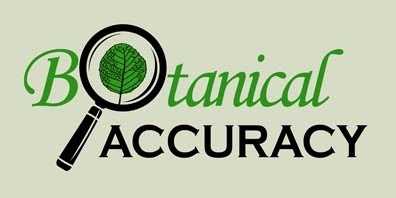 Just because a name is listed in large, well-known databases run by organizations such as Royal Horticultural Society, doesn't mean the name is correct and accurate. Many times common mistakes have been perpetuated throughout the online or printed publishing world. Often new facts have come to our attention, but the name has not yet been corrected by most sources. In printed books the mistake will live on until a new edition comes out. Magilla Perilla is not a member of the Perilla genus. If you are not convinced, grow some Perilla, some coleus, and then some 'Magilla Perilla'. Do your own scientific studies and compare. Hands-on science in the garden or backyard is a great thing. What is the scientific genus name of coleus? Well, that has now turned into a separate issue, and justifies its own blogpost, which will follow this one. Diagram showing where "Magilla Perilla" belongs = with the coleus, not the Perilla.